ZaFul eyewear + a little bracelet - Cherry Colors - Cosmetics Heaven! 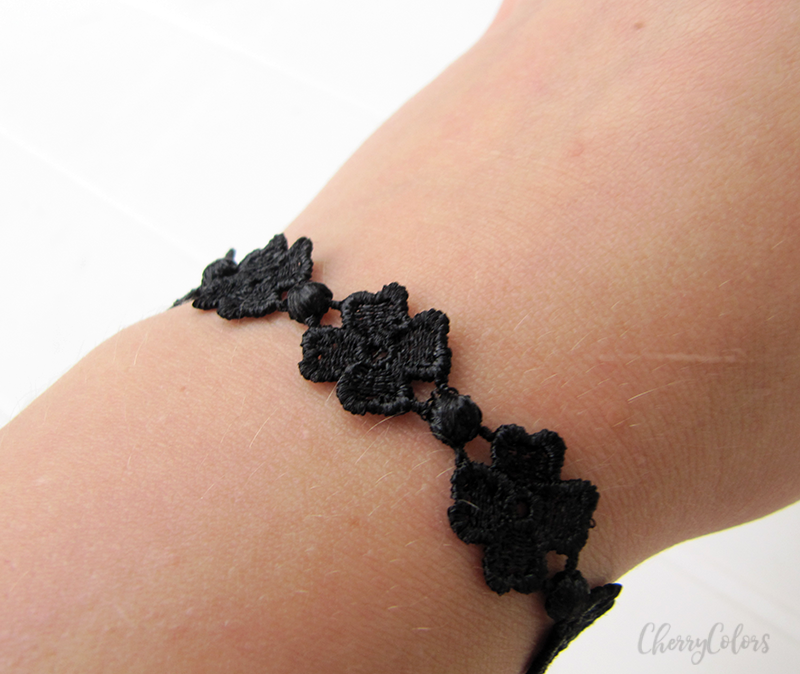 A while ago I was contacted by ZaFul and asked to work with them. After checking their site and the products they have to offer, I decided to give it a go and picked up 4 items. 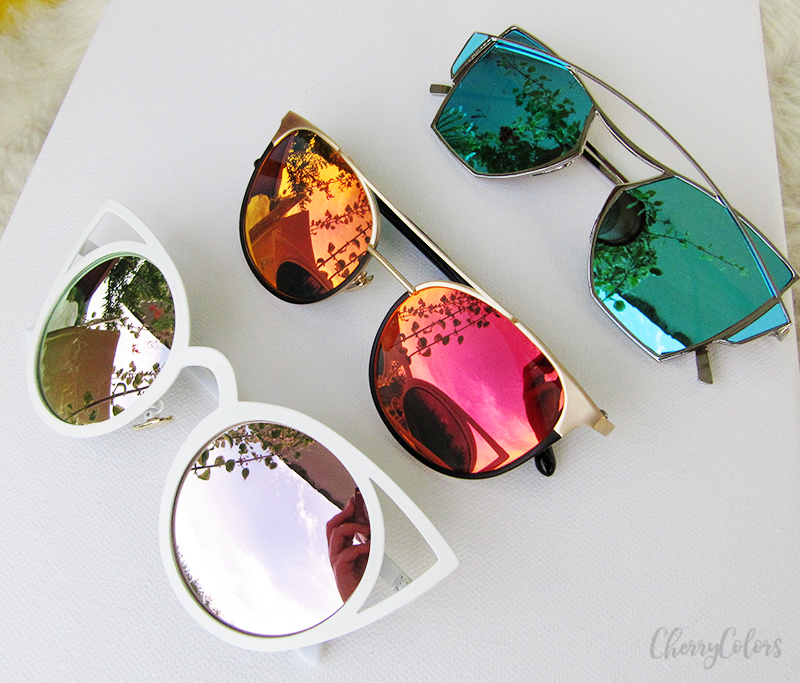 Three of the items I picked up are these amazing looking sunglasses that make every damn look, look hip and trendy! 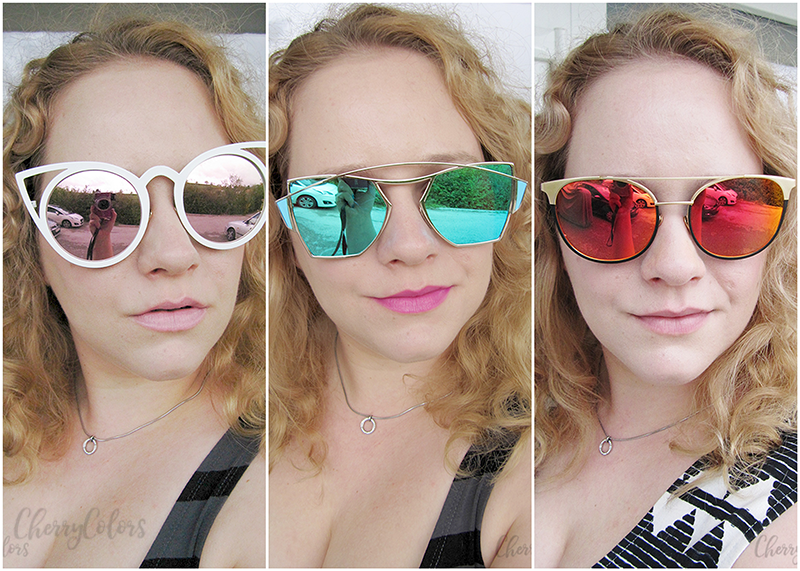 Since I picked three pairs of sunglasses, here's a little something about each of them. They make me look cat-like fierce no matter what. I really like the pink reflective lenses that make them look so much cooler, even if they didn't come with those funky ear-like parts. I like them because once I created something similar in Blender (3D designing program) and of course I would always want to have something like what I create in 3D :P.
Are definitely my favorite because they look so fierce! With ultra reflecting glasses they sure are about to catch the eyes of everyone that passes by. All three of these glasses have a weird weight to them. I say weird because I am not used to sunglasses being this heavy. Not even the cheap or very expensive ones. I am not really sure why they are so heavy? 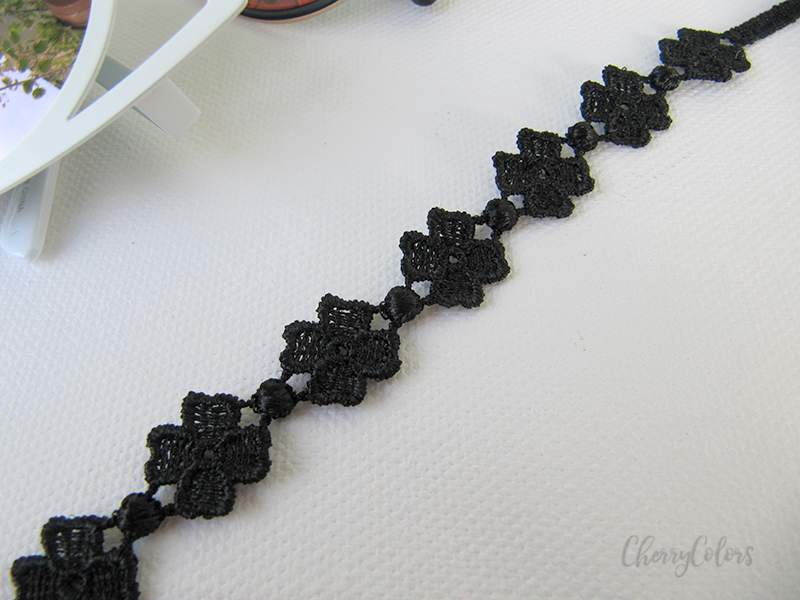 A very simple bracelet, that is easy to wear and can be even washed. I wore it like this. I'm okay with my experience with ZaFul. The glasses are unexpectedly heavy but the shipping was pretty quick. I'm afraid I'd get a headache from wearing these sunglasses for a very long period of time. About which I say - too bad, they are too pretty!